Mr George Edward Graham was born 11 June 1873 on a farm near St. Mary’s, Ontario. He was the 6th of seven brothers and at 17 went to work as a clerk at a hardware store. He worked as a salesman in Galt, then moved to Toronto in 1903 where he joined the Canadian department store chain, Eaton’s. 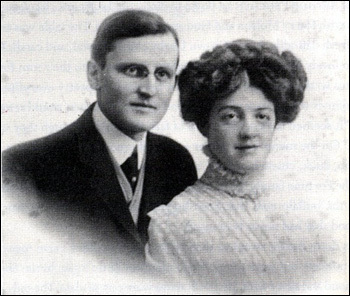 He married Edith May Jackson, from Harriston, in 1905 and they were active in the Methodist Church – two of Graham’s brothers were Methodist ministers. When Eaton’s opened a store in Winnipeg in 1906 Graham was transferred to Manitoba to head its crockery and fine china division. In 1908, the Grahams had a son, John Humphrey, but he died in January 1911, and was buried in St. Mary’s cemetery. Shortly after his death, Edith suffered a miscarriage. Graham was reluctant to leave his wife alone, but dispatched on a buying trip to England, Belgium and Austria. He boarded the Titanic at Southampton as a first class passenger (ticket number 112053, ?30) occupying cabin B-42. He was with a group of travelling salesmen who dined together and who autographed a menu as a souvenir. While he was abroad, Graham’s wife went to visit her parents in Harriston, and upon her husband’s return was to meet him at his brother’s house at 240 Dufferin St. in Toronto. At 6 p.m. on the night of the sinking, Graham dropped into the wireless room of the Titanic and sent his wife a marconigram: “New York Wednesday Morning, Wire Me Sandy Hook. Well.” At the time Mrs Graham was on a train bound for Toronto, and when she arrived Tuesday Morning to hear the news of the sinking, she was relieved to get the telegram. She of, course, had no way of knowing it had been sent before the ship went down. Edith was about to leave for New York to meet her husband when she was officially informed he was lost in the sinking. His body was recovered by the MacKay Bennett (#147). CLOTHING – Black overcoat; blue serge suit. EFFECTS – Memo book; cheque for $300.00; pocket book; credit book, T. Eaton & Co.; silver pencil case; fountain pen; pencil case; keys; gold watch; fob and locket; 7 shillings and 3 pence; $105.00; 2 pocket knives; 1 gold collar button. Funeral of the Late George E. Graham. One of the largest funerals ever witnessed at Harriston was held on Saturday upon the arrival of a special train from Toronto, bringing the remains of Mr George Graham. The train was made up of five coaches, including The Eatonia, the private car of the company president, Mr J. C. Eaton. It arrived at the CPR depot at 11 a.m. and from which the remains were conveyed to the Methodist Church, where services were conducted, after which the remains were taken to the Harriston cemetery. The floral tributes were beautiful and required special conveyances. All business in the town was suspended and the town flag was at half mast. In Winnipeg a memorial plaque to Graham was unveiled in city hall, and the street that borders the south side of Eaton’s store in downtown Winnipeg was re-named Graham in his memory. Edith Graham never remarried, and when she died on January 31, 1960, she wished to be buried beside her infant son in St. Mary’s cemetary. At the same time, the Graham family had George’s body exhumed from the cemetery in Harriston, and it was re-interred with his wife’s in St. Mary’s. Hudson Joshua Creighton Allison was born in Chesterville, Ontario, Canada on 9 December 1881, the son of Jesse Rose Allison and Pheobe Johnston. He had three siblings: Margaret born on 9 April 1876, George born on 16 October, 1879 and William “percy” born on 21 March 1887. Slender and saturnine, with a good head for figures he was imbued with the Protestant work ethic. 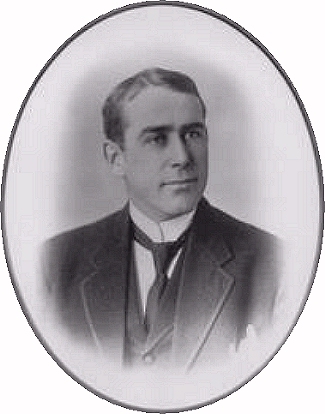 Nicknamed “Hud”, he worked for a time as a clerk in Chester Casselman’s General Store in Chesterville, but at the age of 19, his uncle, George “Frank” Johnston, hired him to head the junior division of the brokerage firm in Montreal he had started with John Wilson McConnell, who would later buy the Montreal Star newspaper. The three men were members of Montreal’s so called “Methodist Mafia”, upstarts in Canadian financial circles. Allison was sent to Buffalo to learn shorthand, worked as an insurance agent for his uncle at Sun Life and New York Life, then was sent to Winnipeg where he opened an office. During his two years in Winnipeg he lived in a house at the corner of Westminster Avenue. and Sherbrook Street. where he got to know Mark Fortune and Thomson Beattie . During one of his frequent train trips back to Montreal he met Bess Waldo Daniels , the young but matronly daughter of an Irish American factory clerk, origionally from Massachusetts. They were married against her parents wishes in Milwaukee on his 26th birthday, just after she turned 21. The Allisons were devout Methodists – they taught Sunday school, Bible Classes, and Hudson often served as a lay preacher. 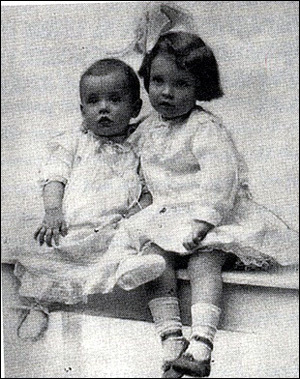 Their daughter, Helen Loraine was born 5 June 1909, and their son, Hudson Trevor , 7 May 1911. The same year they began the Allison Stock Farm near Winchester, Ontario, and built a new house in Westmount, Quebec. Mr. Allison was on the board of the British Lumber Corporation, and sailed to England for a directors’ meeting. While there, they had Trevor baptized at Epworth in the church where Methodist Founder John Wesley had preached. They took a side trip to the Scottish Highlands where Hudson bought two dozen Clydesdales and Hackney Stallions and mares for the stock farm. At the same time, they picked up furniture and recruited household staff for their two residences – George Swane was hired as a chauffeur, Mildred Brown as a cook, Alice Cleaver as a nursemaid for Trevor and Sarah Daniels as a Lady’s maid for Bess. Like many others, the Allisons had altered travel plans to sail back with old friends on Titanic . They paid £151 16s for three cabins on the Upper Deck C-22/24/26. (ticket number113781). Mr and Mrs Allison were in one suite, Sarah Daniels and Loraine in another and Alice Cleaver and Trevor in the third. The other household servants travelled second class . On the last night of their lives, Hudson and Bess Allison sat down to dinner with Major Peuchen and Harry Molson , and Bess brought Loraine briefly into the Jacobean dining room so she could see how pretty it was. When the Titanic hit the iceberg, Alice Cleaver took Trevor and left with him in lifeboat 11 . Bess Allison was put in a boat with Loraine, but refused to leave the ship without her baby. She dragged Loraine out of the boat and started searching for Alice and Trevor. Bess, Hudson and Loraine perished in the disaster. Only Hudson Allison’s body was recovered: #135. 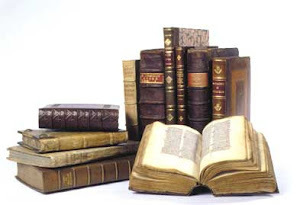 EFFECTS - Keys; letters; photos; stock book; three pocket diaries; one C. P. Railway ticket book; two pocket books; card case; $143.00 in notes; chain with insurance medals; £15 in gold; $100.00 Thomas Cook & Sons travellers' cheque; £35 in notes; gold cuff links; diamond solitaire ring; gold stud; knife; silver tie clip; $4.40 in odd coins; traveller's ticket. Mr Allison’s body was buried in the Allison family plot in Maple Ridge cemetery near Winchester, Ont. One month after the funeral, Hud’s brother Percy recieved an unexpected delivery: the horses that Allison had shipped by tramp steamer from Scotland had arrived safely. A century and a half of faith in a country village church will be celebrated in style on Oct. 20 at Mount Pleasant United Church. Weather permitting, a wagon drawn by two Belgian horses will pick up guests, including ministers and choir directors, and deliver them to the church for the 2 p.m. service. Parishioners and visitors are encouraged to join in the spirit by attending in period costume or at least by sporting Sunday hats, said church member Mary Aslin. An antique tractor and plow will be on display in front of the 1863 church, courtesy of the Burford Tractor Club, to reflect the congregation’s rural roots, and refreshments will include hot apple cider and anniversary cake made from an 1860 recipe featuring currants, fruits and spices. “It’s going to be a lot of fun,” Aslin said. 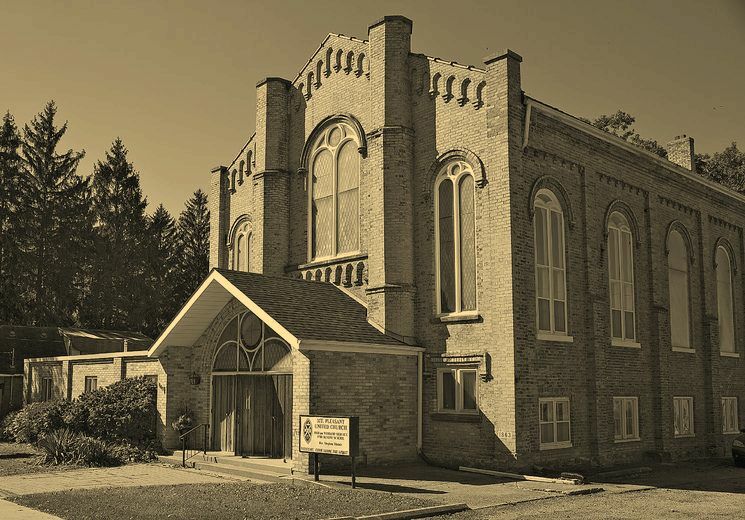 The present building was dedicated as a Methodist church on Sept. 23, 1863, having been designed by prominent Brantford architect John Turner and built at a cost of $4,150. However, the congregation’s roots reach back to the village’s early settlement and the original Bethesda Chapel, built in the early 1830s. That chapel, also called the “old Union Church,” predated by almost a century the formation of the current United Church in 1925, but it stood for a similar “united” community in that it was used by Methodists, Presbyterians, Baptists, Quakers and Anglicans. Mormon followers are said to also have used the chapel after Mormon founder Joseph Smith visited Mount Pleasant in 1833. In 1963, the present building, by then Mount Pleasant United, celebrated its centennial and the dedication of an adjoining church hall. Current members recall the days when the church was packed with people every week and the Sunday School brimmed over with youngsters. The church currently supports the Brantford food bank with weekly donations, boasts a prayer group and coffee club, and shares the hosting of an ecumenical men’s group with All Saints Anglican. Average Sunday attendance numbers about 30 parishioners. “We’re a warm and friendly congregation, and probably not as formal as some churches,” said Rev. Stephen Shantz, who, since 2010, has been ministering the church for a second go-round. His first stint as pastor was from 1968 to 1972. Mount Pleasant United Church has offered a “meaningful Christian presence,” Shantz said. Being a “bedrock” of the community, it served those in need during many generations before social agencies largely took over that role, he said. Parishioners today maintain a strong commitment to faith and community, Shantz said. — Workmen building the church in 1863 often sent local youngster George Cox to the village store for supplies and “water.” More often than not he returned with a tin pail full of whisky, available for 25 cents a gallon. The temperance minister was not amused, likely even less so when he was told that a workman had encased a bottle of whisky in one of the three-foot-thick walls. — A circuit roll from 1864 bears the name of Emily Stowe – Canada’s first female physician. Stowe (nee Jennings) was born in Norwich Township, married John Stowe of Mount Pleasant and served as the first female principal of Brantford’s Central School before embarking on a medical career – getting her degree in the U.S. — and becoming the first woman doctor to practise in Canada. — Magnificent stained glass windows adorn the church, installed over the years in memory of former parishioners. — The church’s pipe organ was sold in 1976 and found a new home in a New Durham church. It was destroyed three years later when the tornado of 1979 tore through that church. A paddle from the organ is mounted on the wall at Mount Pleasant United as a memento. After General Haldimand, Governor of the Province of Quebec, awarded the Grand River grant to the Six Nations Confederacy, Iroquois people built a village at a site at the Grand River near where the Royal Chapel of the Mohawks is now located. The government, in fact, built the chapel for the Six Nations in 1785 to replace the Royal Chapel at Fort Hunter in the Mohawk Valley, which had been lost as a result of the Revolutionary War. To build the chapel, Joseph Brant called upon two old friends from the Mohawk Valley, John Smith and John Thomas. For their help, he gave them land nearby. Smith’s grant was in today’s North Ward of Brantford and Thomas’ grant was in Cainsville. It was Brant’s goal that Smith and Thomas would also give the Iroquois the benefit of their farming knowledge. Before the Revolutionary War, Iroquois men had led a life of hunting and fighting. Brant realized that this lifestyle would have to be replaced with one of farming. But he knew that this would be difficult for Iroquois men to do because it had been done previously by the women. Someone would be needed to show the men how to farm. Brant encouraged other friends to settle on the Grand River by giving them grants. 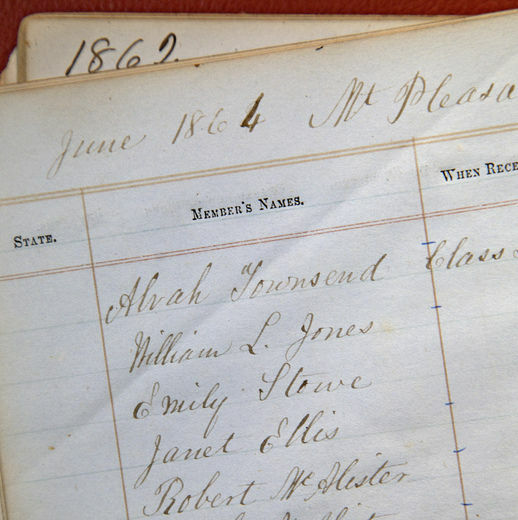 People like the Nelles and Young families from the Mohawk Valley moved to the Grand River. But settlement near the Six Nations’ village did not occur until later. The person considered the first white settler in Brantford was John Stalts, who in 1805 built a log cabin where the War memorial is now located, at the west end of Dalhousie (pronounced daLOOZie) Street. This was on the farm of Mohawk chief John Hill. However, Stalts was not overrun with neighbours because by 1818 the population had swelled to twelve people. There was a thriving village nearby at Mount Pleasant but not here. It wasn’t until the Hamilton and London Road was completed in 1823 that things began to pick up. Early settlers included William Sutton, the Wilkes family consisting of John and his two sons, John and James, Nathen Gage, Reuben Leonard, and Arunah Huntington. Dutton bought the western half of Chief Hill’s farm and John Wilkes Sr. bought the eastern half. John Aston Wilkes was a merchant from Birmingham in England. He started his business in York (Toronto) in 1820 and in 1822 sent his sons John and James to Brantford to open up a branch store to trade with the Iroquois. The branch was so successful that it became the tree; John Sr. sold up in York and moved to Brantford. At that time the population of Brantford was less than 100 white people. One of the sideshoots of Wilkes’ business was a distillery, which he built in 1830 on his land, which extended from the Market Place to Waterworks Creek, near Clarence Street, and included Colborne, Dalhousie, and Darling Streets. The next year, William Kerby built a competing distillery on the bank of the river near Church Street. The booze business must have been good because, in 1832, William Spencer built a brewery on the west side of the river near St Mary’s Lane. Marshal Lewis, from New York State, built the first bridge over the Grand River near his mill, which was near the present Mill Street. Lewis was one of two men who tried to name the town after themselves. By 1826 or 1827, the town had grown big enough for a formal name. At a gathering of about two hundred people, Lewis suggested that the town be named Lewisville. Robert Biggar, who lived at Mount Pleasant but owned a tract of land just west of West Street, put forward the name Biggar’s Town. John Wilkes Sr. wanted it named Birmingham after his home town in England. Thankfully, someone mentioned that, as it was near where Brant had established a ford over the river, perhaps the town should be named Brant’s Ford. This was unanimously accepted. The exact location of Brant’s Ford is in dispute but it is close to the Lorne Bridge, which replaced an earlier bridge built by Robert Biggar in 1827. The downtown area looks very different from 150 years ago. Then a small stream called the Cove made an island of the land where the casino and Earl Haig Park are now. The Cove has been filled in and is now under Icomm Drive. Two streets north of the Cove are still called Water Street and Wharfe Street, recognizing their role when Brantford was a port. The Grand River Navigation Company cut a canal from the Grand River near Cainsville to Brantford, where it followed the line of Greenwich Street. From the completion of the canal in 1849 to the company’s bankruptcy in 1861, Brantford could be reached by river and canal from Lake Erie and, through the Welland Canal, Lake Ontario. The western end of the canal has been filled in to form Shallow Creek Park but the rest of the canal can still be seen. The remains of one of the locks can be seen where Locks Road crosses the canal at Beach Road.